Posted in	Featured News, News	Click any image for an enlarged view. 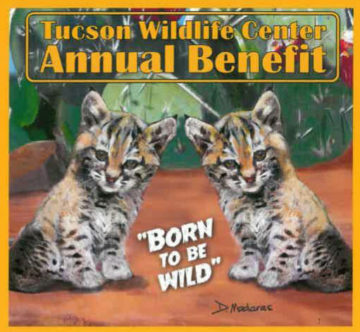 2018 Tucson Wildlife Center Benefit – Born to Be Wild! Skyline Country Club, 5-9 P.M.
Last year sold out, so don’t delay! If you cannot attend, please consider a donation to southern Arizona’s only rescue hospital serving 8 counties.